Wales has had a BiFest since 2010, although it was originally in Cardiff in 2010, 2011 and 2012. 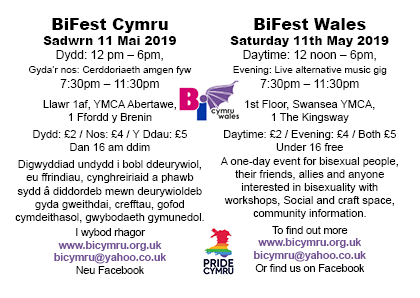 After a year off in 2013 BiFest Wales has moved to Swansea, where the support of Swansea YMCA helped us to keep entry prices down and make the event affordable. 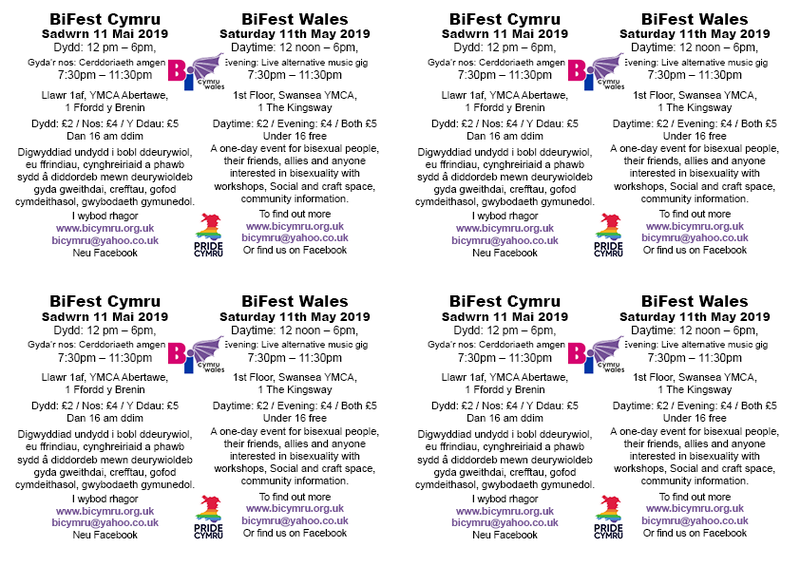 After a successful, if small, event on 5th October 2013 BiFest Wales returned to Swansea YMCA on Saturday 10th May 2014 and added an evening live alternative music gig to the programme. 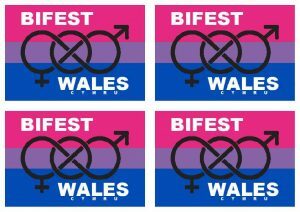 2014 , 2015, 2016, 2017 and 2018 were successful events, although costs are rising and we currently run at a loss covered by committee donating personally to cover the loss. 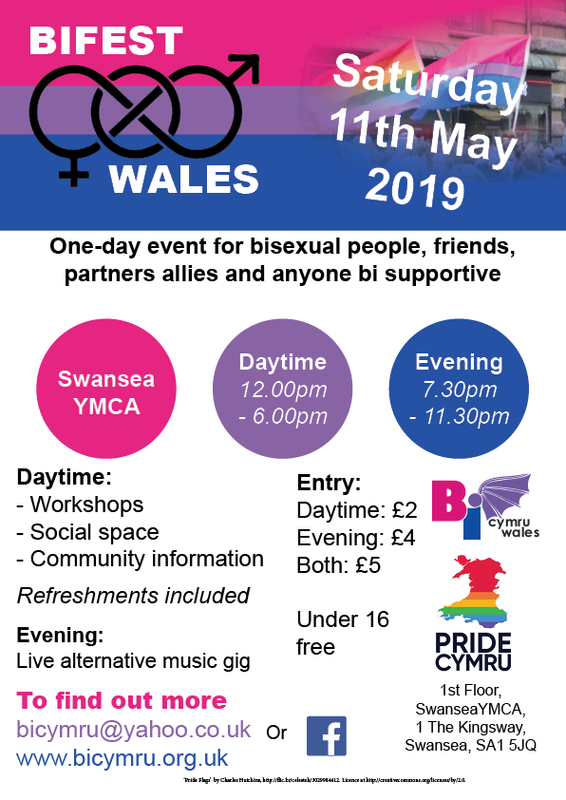 We’re returning, to Swansea YMCA, with a full daytime workshop, social space and information event and evening live alternative music event on Saturday 11th May 2019. 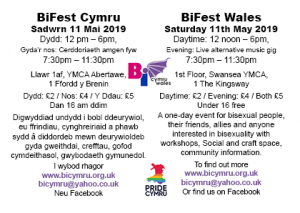 BiFest Wales is now a regular, annual event, usually on the second Saturday of May. 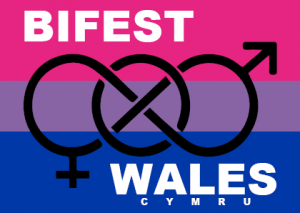 BiFest Wales relies on the support of people who are interested, supporters, individuals and organisations to spread the word and get people involved. Leaflets and posters for you to print and display or download and send by email to your contacts will be available here in 2019. 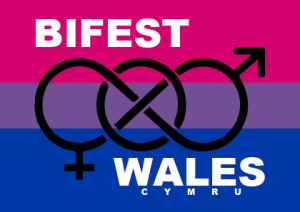 If you cannot print in colour on the stipulated size for whatever reason please contact bicymru@yahoo.co.uk and we’ll arrange to meet you or send you copies asap. 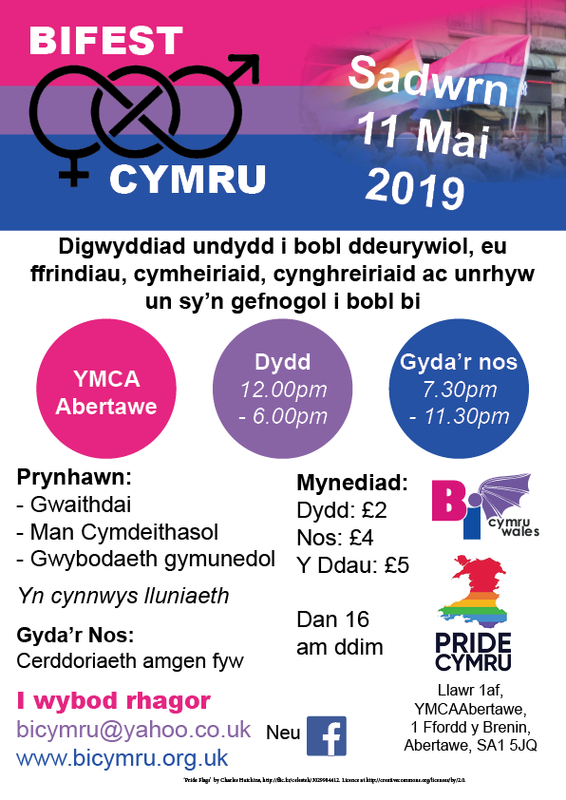 We are extremely grateful to anyone who’s happy to give leaflets to their friends, put a poster up at work, or spread the word any way you can. Please feel free to print posters and leaflets or contact us for copies. 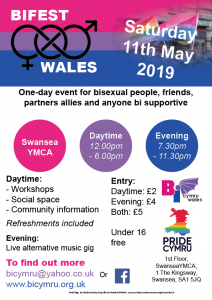 Community groups, charities, trade unions and public sector organisations are welcome to bring a maximum of 2 types of leaflets promoting their organisation and services of interest to bi people and allies. 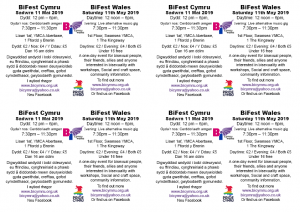 Please note we have a community information area with tables containing leaflets from all organisations together. 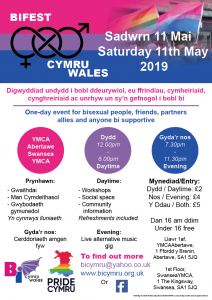 We welcome support from volunteers. 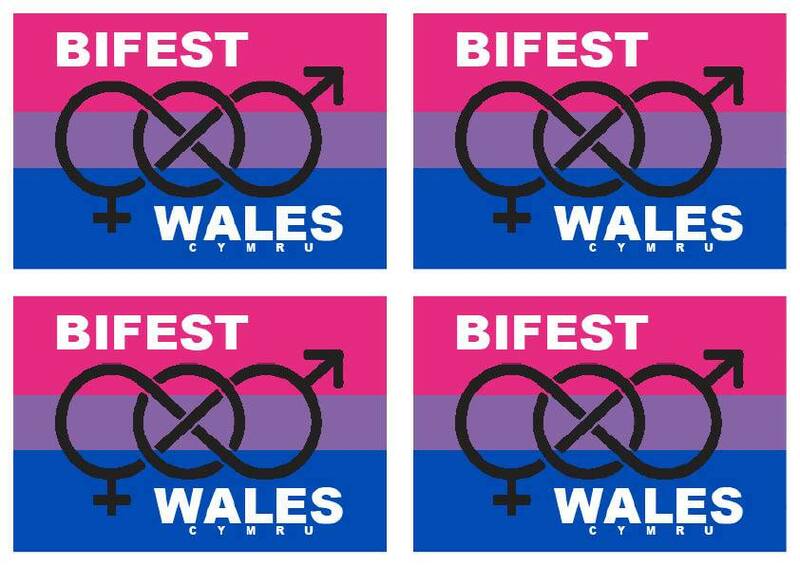 BiFest Wales relies on the support of volunteers to make the event a success and keep entry prices low. Meeting people at the train and bus stations.